Maybe you hit up your local drugstore for a whole new set of antiaging products, or maybe you went online for the latest and greatest acne treatments —wherever you shopped, you might be wondering when you can actually expect to see results from your new products. Most of us want instant gratification, but (sadly) that’s usually not the way it works when it comes to skin care. The truth is, your skin cells take approximately 28 days to turn over, which means that most products take at least a month to provide any visible benefits, although it can be difficult to nail down exactly when you should expect to see any noticeable changes. That being said, there are some general guidelines you can keep in mind as far as product efficacy goes. Below is a breakdown of about how long it takes some of the most common skin care products to deliver results. Washing your face is perhaps the simplest step in your skincare routine — and it’s one that you’ll give you an immediate effect. A good facial cleanser (like the Salicylic Acid Cleanser from SLMD Skincare) will remove all the dirt and makeup that’s built up on your face. After rinsing, your skin should look clean and refreshed right away. Once you’re done cleansing, the next step in your skin care routine should be serum. Serum is super-thin, so it easily absorbs into your skin to target skin concerns like wrinkles and dark spots. While powerful, serums often take a couple of weeks to a month to really have any noticeable effects. Once you hit the 2-4 week mark, expect skin that looks more even, firmer, and smoother, depending on the serum you’re using. A great starter serum is SLMD Skincare’s Hyaluronic Acid Serum! Moisturizer is the cornerstone of any skin care routine, and a good moisturizer (like SLMD Skincare’s Facial Moisturizer will immediately hydrate your skin for a healthy, radiant appearance. However, you won’t experience the full effects of your moisturizer for up to two months after you start using it. It’s also good to know that moisturizer delivers the best results when you apply it twice a day, every day. Consistency is key! Dark circles or puffiness got you down? Well, don’t expect to get rid of them with just one day of eye cream use — or at all. Brutal, we know. Eye cream can definitely smooth and brighten your under-eye area, but nothing will completely get rid of your eye concerns. You can expect modest results after 6-8 weeks. Retinoid and retinol are the gold standards of anti-aging ingredients — but they definitely don’t work overnight to squash wrinkles. Expect positive results — smoother skin and less noticeable results — after 6-8 weeks. 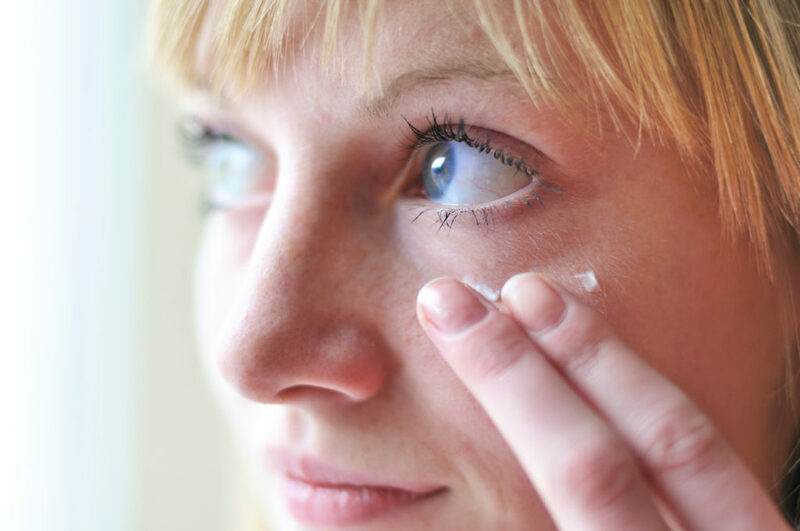 Keep in mind though that your skin may peel or flake when you begin treatment because Rx retinoid is strong! 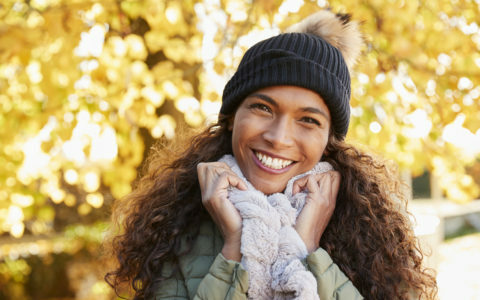 OTC retinol takes longer — as long as 10 weeks — but it’s a bit gentler on skin since it’s not as strong as their prescription counterparts. For a great intro product into retinol, check out the SLMD Skincare Retinol Serum. When you have acne, you want it gone from your face ASAP. But it’s best to take a slow and steady approach. 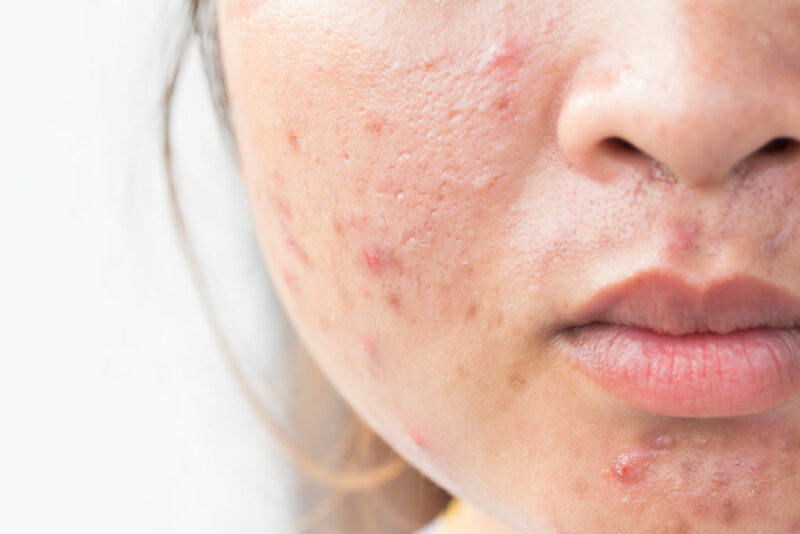 If you’re using a salicylic acid or benzoyl peroxide spot treatment, you may experience some immediate pimple shrinkage, but it can take up to three months for truly clearer skin. Ready to up your skincare game? 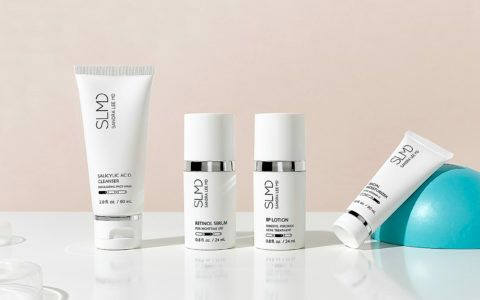 Try the SLMD Acne System – 30 Day Kit which features a salicylic acid cleanser, BP lotion, retinol serum, and a facial moisturizer. The products contain powerful ingredients that fight acne, like benzoyl peroxide. The starter kit offers enough of each product to last a month, so stay committed for the full 30 days until you see results. Then, move onto the SLMD Acne System – 60 Day Kit for a longer supply of the four products. Remember: Sticking with skin care products for a certain amount of time is key for getting—and maintaining—beautiful, clear, glowing skin.